Morning Glory hat is a classic straw gardener's hat with a black ribbon and bow. 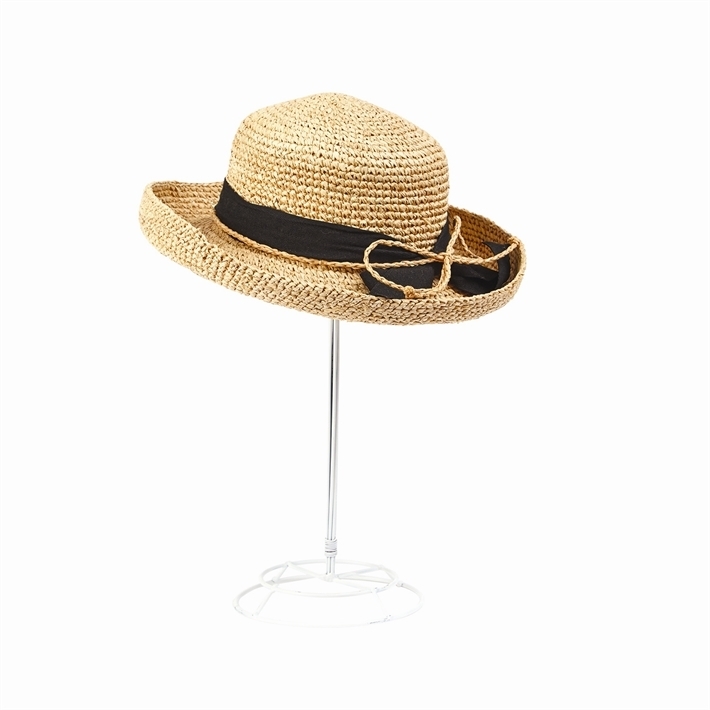 This stylish and lightweight hat is ideal for gardening or walking along the beach. The wide brim protects from the sun, the black ribbon and raffia bow adds personality, and the flexible yet sturdy construction makes it simple to fold, pack or take anywhere. One size fits all.